Bharti Airtel, the mother company for Airtel Kenya announced its financial results for its fourth quarter, period ending March 31st 2016. On its operations in Africa, the company announced a revenue growth of 5.9% the highest in the past six quarters. Overall, the company’s African operations made a net loss of $59 Million, a decline from $183 Million a year ago. The drop in loss was attributed to growth in the company’s data offering, a wider customer base boosting consumption as well as currency appreciation in some markets on the continent. As of March 31, 2016, the Company had 80.6 Million customers in Africa across 17 countries as compared to 76.3 Million customers in previous year, an increase of 5.6%. Total minutes on the network increased by 14.7% to 136 Billion as compared to 118.6 Billion in the previous year. Data traffic doubled to 74.0 Billion MBs from 35.3 Billion MBs with usage per customer increasing from 277 MBs to 435 MBs. With regards to Airtel Money, the customer base across the continent increased to 9.6 Million from 6.2 Million in the previous quarter with the number of transactions increasing to 293 Million from 157 Million. Overall the average revenue per user in Africa declined from $ 4.6 to $ 4.2. Some key developments to look forward to for the company include the allocation of atleast 10MHz of the available 800MHz spectrum for LTE in Kenya. Price negotiations for the same are ongoing. In Tanzania, the company’s subsidiary and American Towers Corporation have entered into an agreement for the sale of over 1,300 telecom towers in Tanzania. Airtel has also signed a 3 year global agreement with World Food Programme for cash and value voucher distribution services in Madagascar, Malawi, Tanzania, DRC, Congo Brazzaville and Zambia. Airtel recently confirmed the 100% sale of its operations in Burkina Faso and Sierra Leone to Orange. 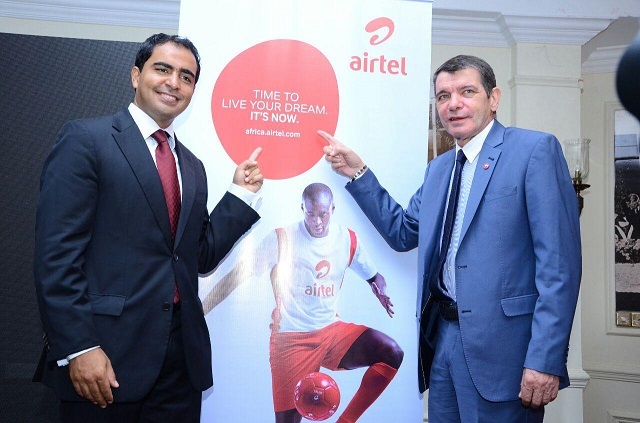 Bharti Airtel entered the African market in 2010 with the $9 billion purchase of Zain operations in 15 countries. It has operations in Nigeria, Chad, Congo B, Democratic Republic of Congo, Gabon, Madagascar, Niger, Ghana, Kenya, Malawi, Seychelles, Tanzania, Uganda, Zambia and Rwanda. The company offers post-paid, pre-paid, roaming, internet services, content, media & entertainment, corporate solutions, data and Airtel Money services.